Chief of Air Staff (CAS) Air Marshal Sadique Abubakar has lauded the progress the Nigerian military is making to strategically deal with the nation’s security challenges in the 21st century. He stated this in a chat with newsmen shortly after delivering a lecture during the Strategic Leadership Week of the Air Force War College, in Makurdi Benue State on Friday. He said the decision to establish the War College was borne out of the need to train senior military officers who have done extremely well in their national defence college program and are contributing significantly well to what the NAF is doing in all conflict areas. 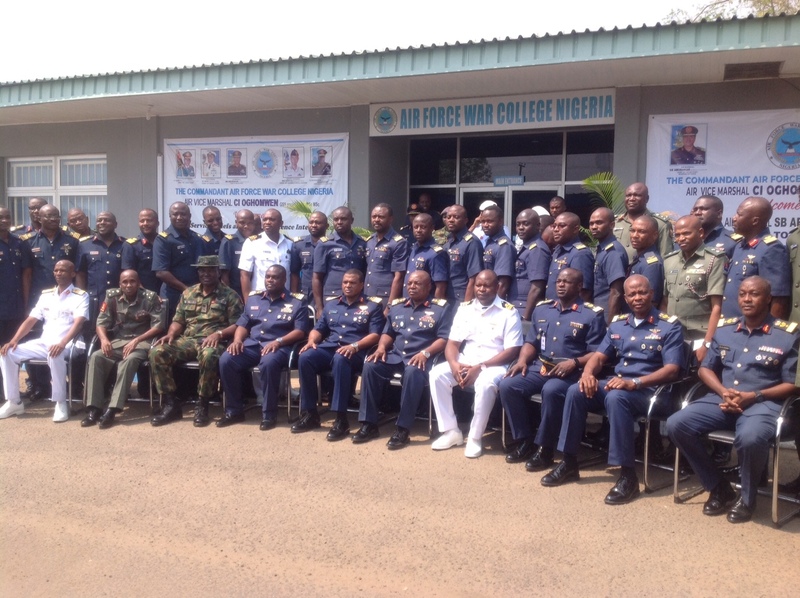 Earlier in his welcome address, Commandant of the College AVM Charles Oghomwen, while thanking the CAS for honoring the invitation, noted that the College has chosen the week for a dedicated strategic level leadership mentoring training. “We want to mould this medium cadre officers, and in doing that, we desire to give them an opportunity to learn from your strategic perspective, experiences that could guide and influence their leadership skills and acumen. “So far, we have had the Chief of Defence Intelligence lecture on Tuesday, Chief of Army Staff lecture on Wednesday, as well as the Chief of Naval Staff lecture yesterday. Earlier this morning, we had a lecture titled Military Command and Leadership in Nigeria: challenges and future perspective by Air Chief Marshall O Petinrin former CAS and CBS. “Leadership study packages in our colleges are evolving, thus rather than only study military leadership capabilities of past generals in other climes, we are beginning to look inwards to study own indigenous generals and their leadership traits,” Oghomwen stated.